What should every woman know? Perhaps since I’m almost 33 someone figured I have some advice under my belt to answer this question. But then again, age has nothing to do with it. I learned about death at 8, again at 15, and even got married at the tender age of 24. 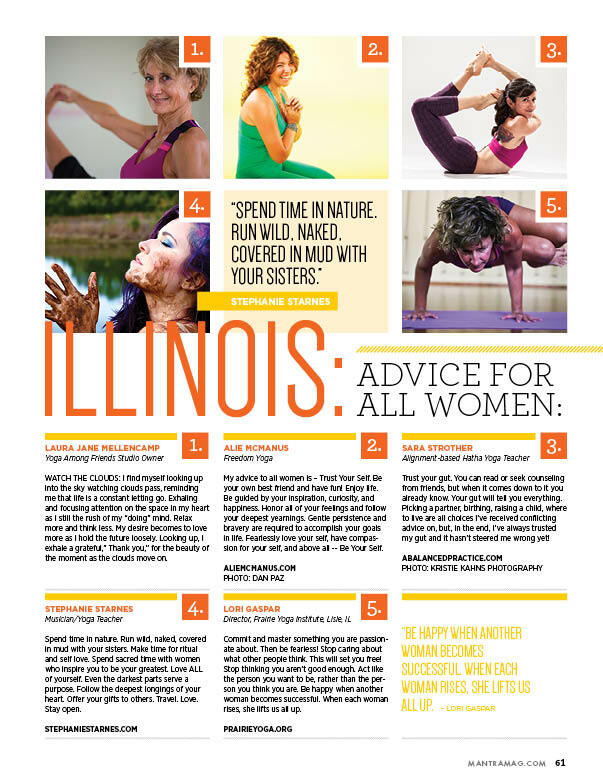 At any rate, it felt like a huge compliment for Mantra Yoga + Health to inquire my advice for women. Looking back…this is the same advice I’d give to dudes too. Mantra magazine is found on news stands and I’m honored to be in issue 2. Cheers to my 2 seconds!